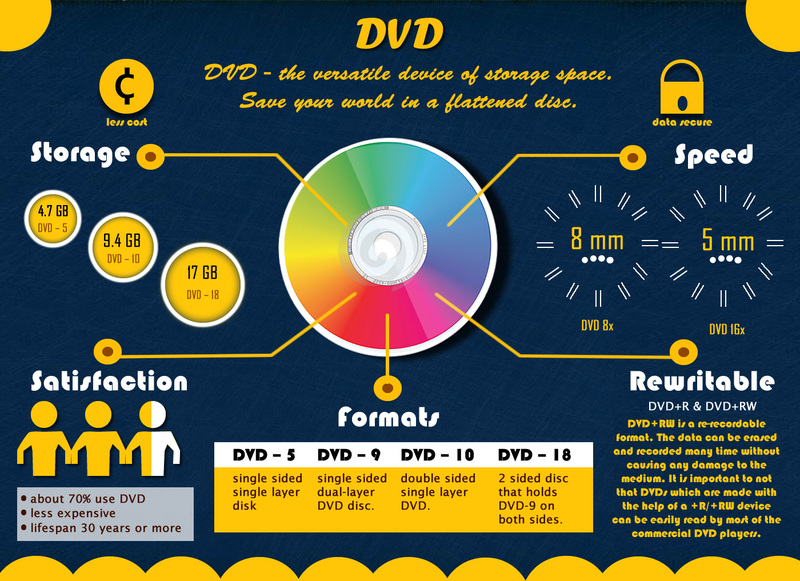 DVD, also known as Digital Video Disc or Digital Versatile Disc, is an optical disc storage media format, and was invented and developed by Philips, Sony, Toshiba and Panasonic. It is essentially a bigger and faster CD that can hold movies, audio files which are better than CD quality and computer data. There are multiple formats of DVDs and this is actually based on the standard the manufacturer adheres to. Different manufacturer supports different standards and the situation is similar to the VHS tape wars. This is also known as the format war and the industry is eagerly waiting to see which format emerges as the industry standard. It is important to note that the different variations of the term DVD simply denote that manner in which the date is written on the disc itself. DVD-ROM was the first DVD standard that hit the market and it is a read-only format. Among the more than 200 optimization profiles, there are also options that can format your videos to play on gaming systems, smart televisions and almost any other device you own. These profiles customize the conversion for optimal playback on specific devices, including iPhones, Galaxy tablets, Sony PlayStations and more. You can also convert your DVD movies into plain-Jane video files like MOV and MP4. And the process of ripping DVDs is as simple as can be - all you do is load the DVD you want to rip into the program, select a preprogrammed optimization profile and press start. In our tests, it took EaseFab LosslessCopy less than half an hour to rip and convert a full DVD movie into a digital format that can be used by any media player. Also, when our video experts reviewed the results, they found that the ripped file was nearly identical to the source material. There was no compression artifact, motion blur or interlacing, which are common problems with lesser DVD rippers.